Home Green Technology What Can 70 Year Old Pininfarina Bring To The Electric Vehicle? When most people think of Pininfarina, images of Ferrari and Alfa Romeo might spring to mind, but the Mahindra company wants to bring its long and impressive automotive expertise to electric vehicles (EVs). The question is, what can it bring to the table? The answer lies with its pedigree, passion, and expertise. I was puzzled when Mahindra bought Pininfarina in 2015. It almost felt a little sacrilegious that such a veteran of automotive design and research needed foreign investments to continue giving us spectacular cars. After all, I’ve owned many Pininfarina-signed cars. I still have two in the garage. But none of them are electric vehicles (EV), sadly. One thing the Mahindra Group did well is it kept Pininfarina humming along and did not try to fix what was not broken. Pininfarina’s new venture of embarking on the EV bandwagon is a testament to the company’s performance DNA and everyday beautiful car design. In 3 years, Pininfarina went from designing beautiful gas cars to an even more exotic EV destination. Shown at the last Pebble Beach for a select few, the Pininfarina EV concept says very loudly that Pininfarina can roll into the EV realm, and not a minute too soon. 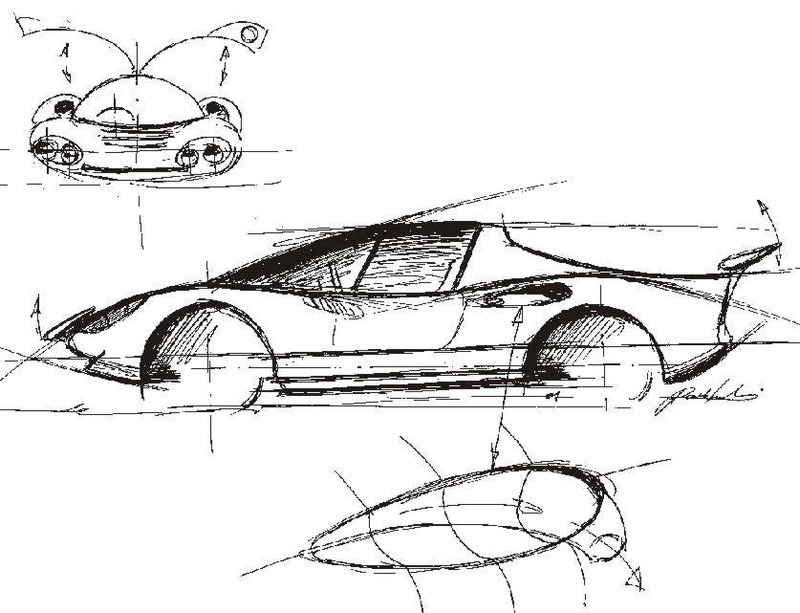 Pininfarina — From Classic Cars To The Pininfarina Battista? Aside from its classic car background, Pininfarina has also designed buses and trains. 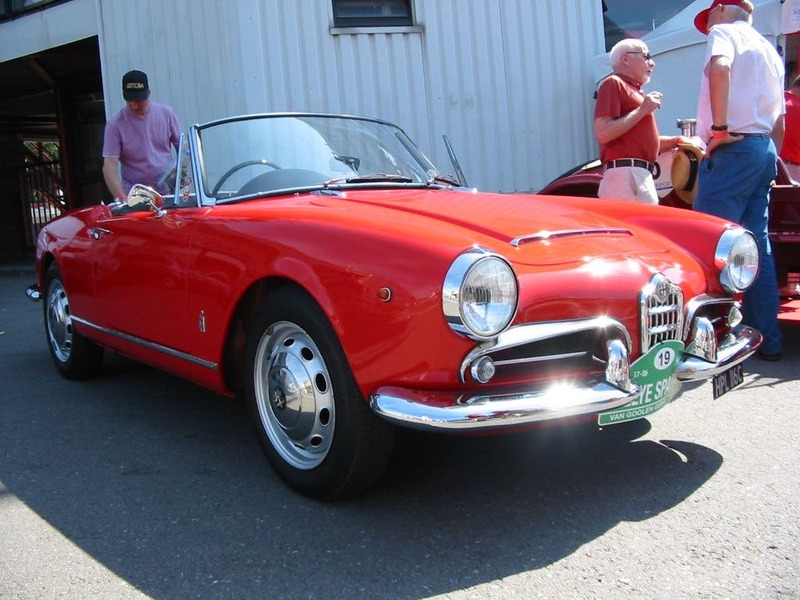 The Italian design and research company is as varied as our locomotion is. It finally turned its attention to the inevitable EV transition when it designed the French Bolloré Bluecar a few years ago — well, he Pininfarina B0, which eventually led to the Bolloré BlueCar. It was a four-seat hatchback with a solid-state lithium-polymer battery pack and supercapacitors, as well as a solar panel roof. Altogether, it had a 153 mile (246 km) range. The car was developed with the Bolloré Group in 2009. Pininfarina is also now working with Karma Automotive, which we will dive into again via new interviews in a few weeks. After that, Pininfarina dabbled with a few other electric concepts until 2018, when it announced that the group invested over €20m (roughly $22 million) in Pininfarina design services for a range of luxury electric cars. With a few sneak peeks at Pebble Beach, you could see the group used all of its traditional expertise to show us design and engineering for a “hyper performance” luxury EV called in the Battista. 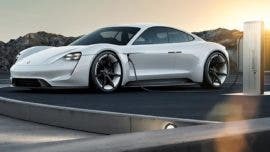 It sports 4 electric motors and should reach 100 km/h (62 mph) in under two seconds. Its full speed is 350 km/h (217 mph) with a 563 kilometer (350 mile) range. The Battista boasts 1,417 kW (1,900 hp) and should be revealed at the 2019 Geneva Motor Show in March. Today, Automobili Pininfarina CTO Christian Jung, ex-Porsche Mission E team leader, believes that Pininfarina is perfectly position for both large automakers and startups as a one-stop shop from design to execution of high-end performance EVs. The Battista is designed by the studio’s own Luca Borgogno. Pininfarina isn’t doing this alone, and building this new “dream team” is its most ambitious project to date. It also partnered with another high-profile and high-performance EV developer, Mate Rimac, whom we had the pleasure of meeting years ago and hope to see soon for the company’s new Greyp wild electric bicycle release. Mate is a real car guy with a real EV passion that dates back to before his Concept_One super EV. Before that, he was drag racing his electric BMW. Mate brings to Pininfarina the electric drivetrain expertise needed to jump-start the venerable company into the EV potential future. We’ll see how Porsche’s stake in Rimac will work out in the long run for both the German carmaker and Pininfarina. 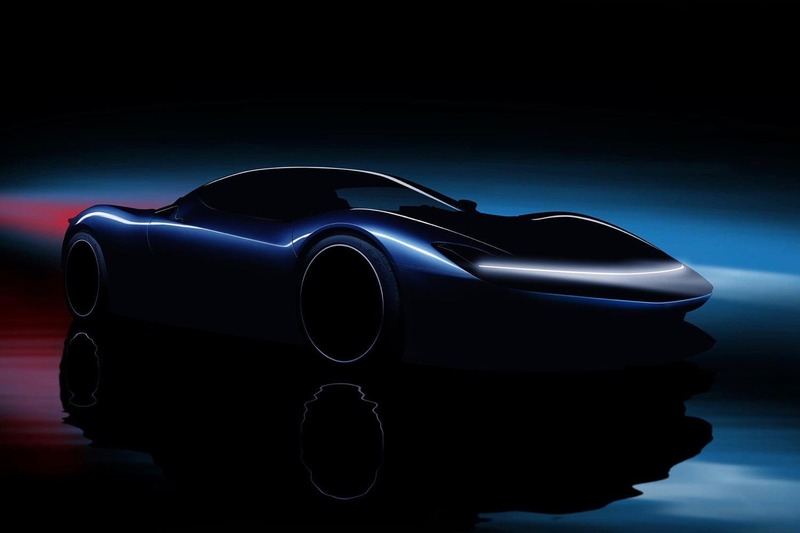 Pininfarina is wasting no time and has announced its first “hyper EV,” the PFO Battista, which will be produced in 2020. The current challenges are agreeing on the specs. Since there are not real hyper EVs on the market today, Pininfarina said it had to design from scratch and deal with the higher weight that EVs have compared to regular gas cars. For this to happen, Rimac will provide the electric motors, battery system, and hardware and software part. The battery position follows the Rimac Concept_One T shape in the back of the car. Although we don’t know the final specs yet, Pininfarina says its battery pack will be lighter than a conventional 100/120 kWh pack. If it wants to meet its hyper EV status, it will have to be lighter than the best EVs on the market today. Pininfarina chose lithium-ion batteries and is looking into solid-state batteries, but they probably won’t make it into the 2020 model. The team said that the PFO could have a gearbox sporting two gears on the rear axle. This is interesting because it reopens the door to the discussion about whether or not EVs are better with gearboxes. To be fair, electric motors will continue to develop until they completely replace gas engines. There won’t be much need for gearboxes to get there, but a hyper EV with today’s technology might have no other option than to opt for a simple two-gear gearbox. So far, we know the target weight of the PFO is 2,000 kg (4,400 lb). This will be achieved with the use of carbon fiber, plastics, and other tough lightweight materials. The cooling will be direct and indirect, meaning direct cooling of the cells and passive pack cooling. Can Pininfarina Continue Its Exotic Car Design For EVs? Although no one has a clear crystal ball these days, Pininfarina stands the most to offer full-house expertise to new and more seasoned EV players. The company has a 70 year stretch of proficiency in designing and building cars. It’s partnering with Rimac brings the jump-start it needs to the mix as a capable high-end EV designer and maker.